The State Emergency Operations Center (SEOC) has been declared operational by the SEOC Manager at 8 a.m.. The SEOC was activated at Level III in support of severe weather throughout the state. Level III activation means that selected DHSEM staff actively monitor the on-going incident. Command and General Staff will occupy positions in the SEOC. 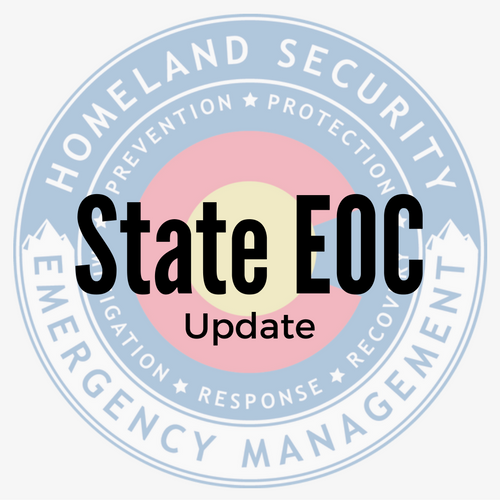 ERC and State agency representatives do not need to report to the SEOC and should continue monitoring virtually and be prepared to report as requested.